The fifth volume in The Selected Works of Gordon Tullock consists of six parts, each part expounding on a separate component of the field. Part 1, “Rent Seeking: An Overview,” brings together two papers that focus on problems of defining rent-seeking behavior and outline the nature of the ongoing research program in a historical perspective. 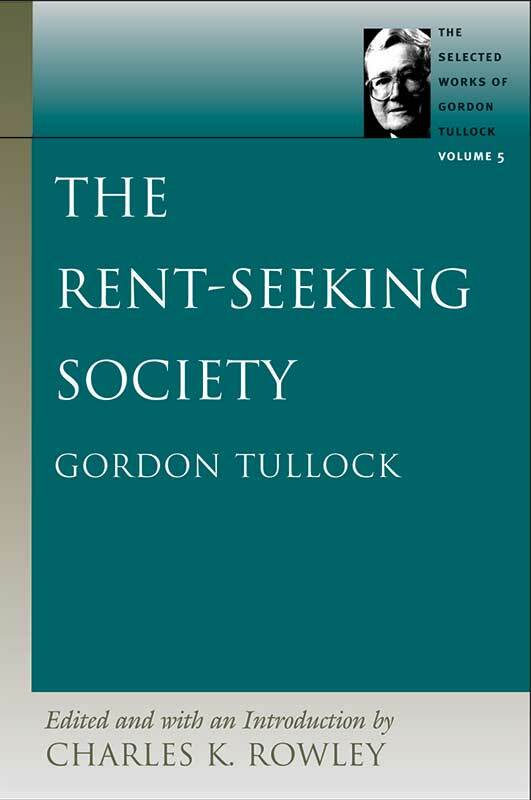 Part 2, “More on Efficient Rent Seeking,” contains four contributions in which Tullock elaborates on his 1980 article on efficient rent seeking. Part 3, “The Environments of Rent Seeking,” consists of eight papers that collectively display the breadth of the rent-seeking concept. Part 4, “The Cost of Rent Seeking,” comprises seven papers that address several important issues about the cost of rent seeking to society as a whole. Part 5 is Tullock’s short monograph Exchanges and Contracts, in which he develops a systematic theory of exchange in political markets. In Part 6, “Future Directions for Rent-Seeking Research,” Tullock focuses on the importance of information in the political marketplace. This work has been carefully constructed to build on the inaugural volume in this collection and to ease students through the field in a clear and concise manner.